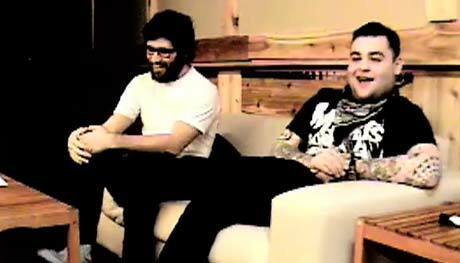 Stalwart Canadian punk band Alexisonfire are celebrating this weeks release of their new EP Dog's Blood. You can read a review of it here and even check out the title track here. But like the good friends we are, no celebration would be complete without some nostalgia, some old embarrassing haircuts, or by reliving some fond memories. Memories like the early days of Exclaim! TV. Memories like this one, when they talk about the blazing solos that will become the signature of their sound.